The family spent the Friday night in Grandads house up in Dublin, as I had an early start on Saturday morning, well not exactly early, but it would have been if I had to drive up to Dublin that morning. 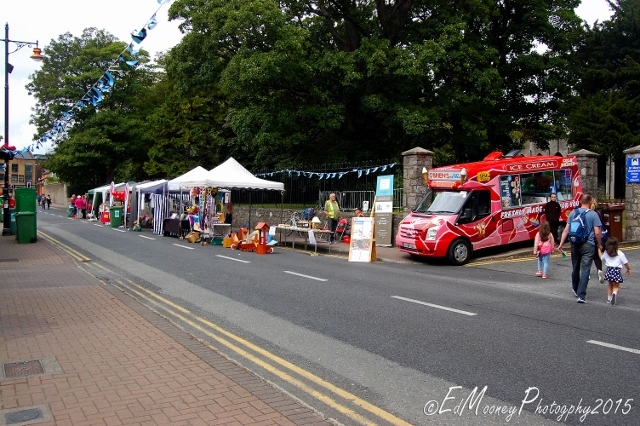 I first heard about the Tallafest as a result of the two articles I did on St. Colmcille’s Well and Ballymount Castle for the Tallaght Echo. 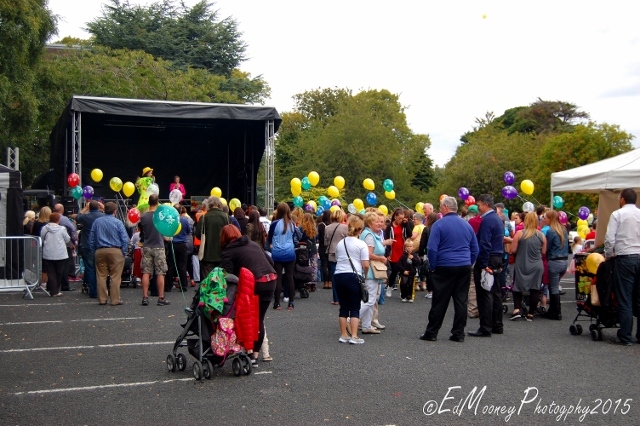 In fact it was a member of Tallaght Community Council and a fellow photographer Declan Corrigan whom tipped me off about the event. Two particular events where of great interest to me. 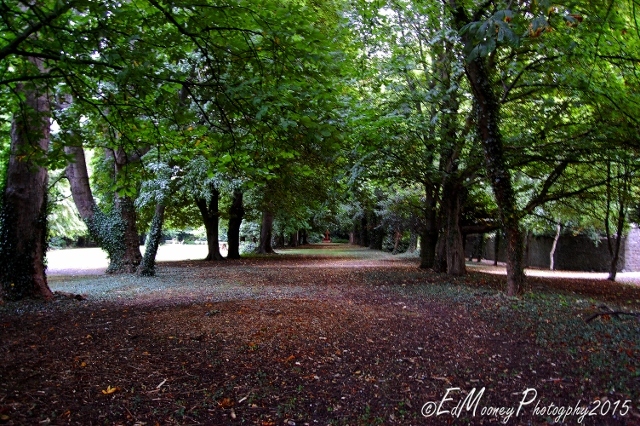 The first concerned a nature walk around the Priory Gardens. 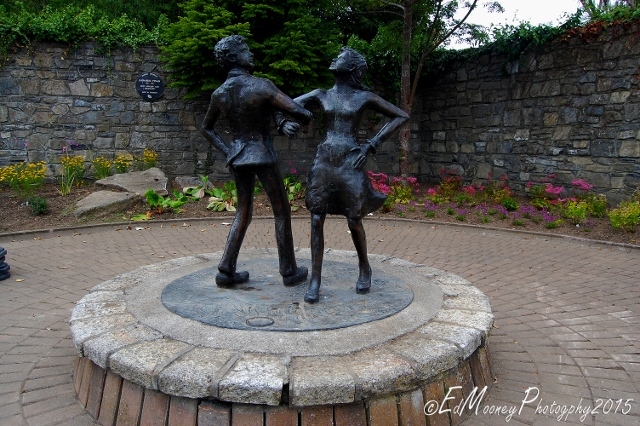 I have being trying to arrange access to these hidden gardens ever since I wrote about Tallaght Castle back in 2013. The main reason for my interest here was that they were said to contain a Bullaun Stone. 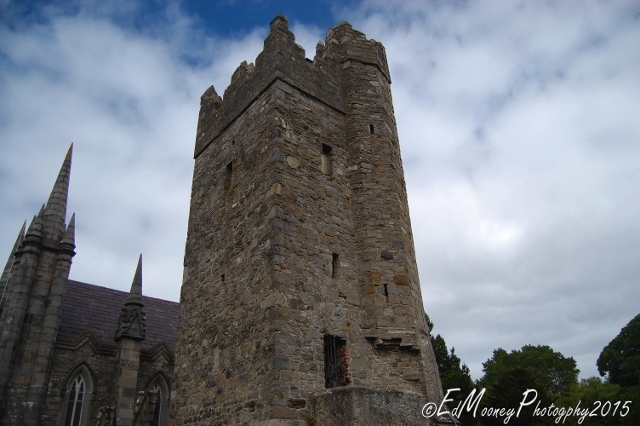 As part of the festival the Tower of St. Maelruan’s was to be opened to the public. Some of you might remember I wrote about this during a series of article I did on the Tallaght area back in 2013. So things kicked off at about midday on the grounds of the priory, there was the usual stalls selling their wares along with ice cream vans and food vendors, but the first thing of interest for me was the birds of Prey display by the lovely folks of Woodlands Falconry whom were ever so hospitable. 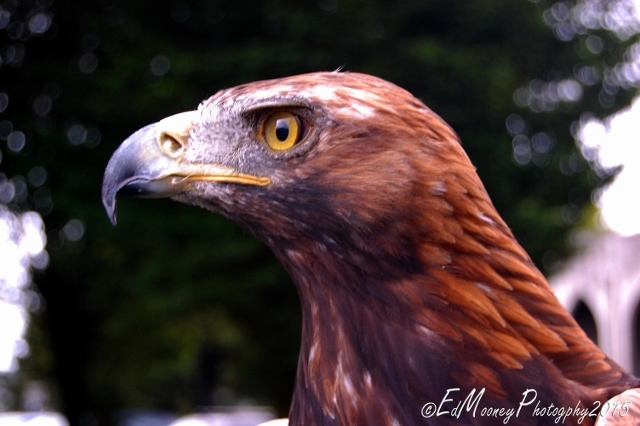 I was invited into the enclosed display area and got some really cool shots and learned so much about these stunning birds, many of whom are only recently being reintroduced into the wild in Ireland. So I shall be dedicating a full piece on this later on this week. 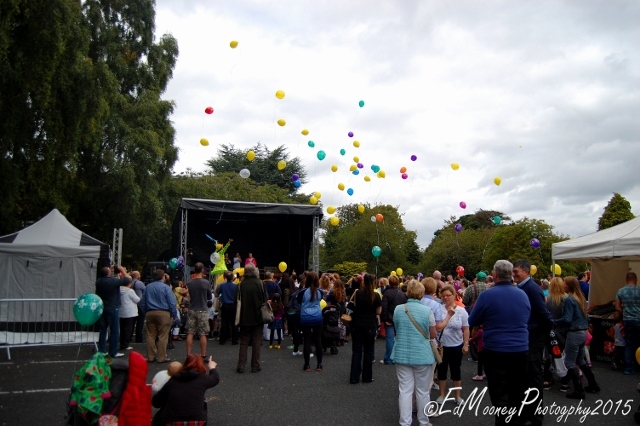 Over at the main stage the official opening was held with a grand release of balloons and a cracking performance from Sonna Samba. 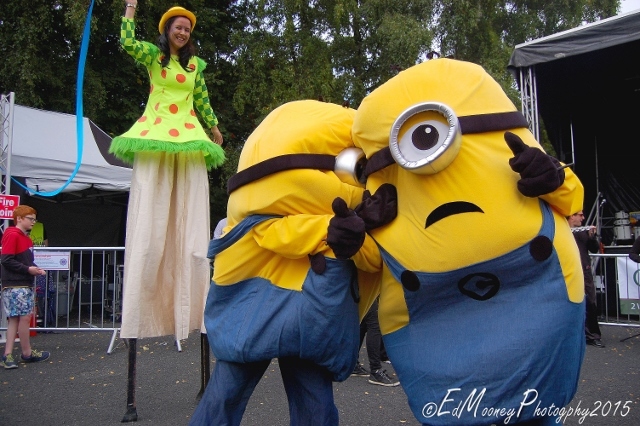 Amongst the crowd I spotted Stuart and Kevin from the Minions getting up to their usual antics. 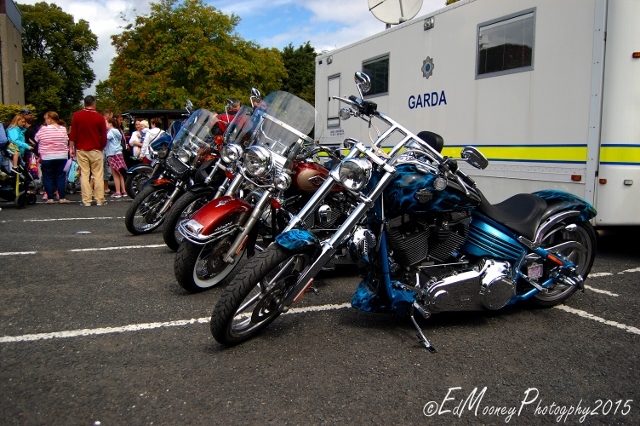 There was a fine display of really cool cars and motor cycles. 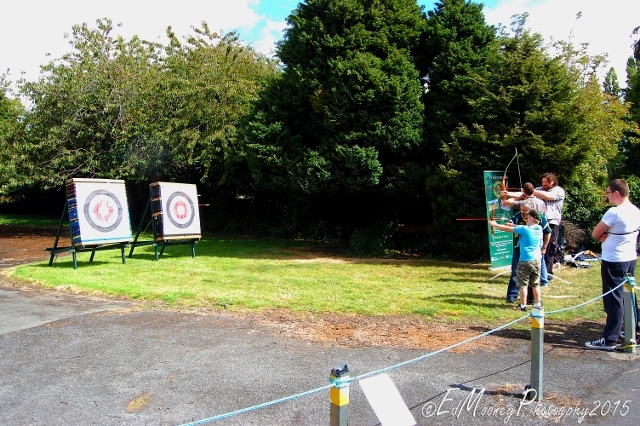 Greenhill’s Archery had a display and I just had to put the camera aside and have a go. Surprisingly, it’s been about ten years since I have fired a bow and my grouping was still pretty damn good. There were also some great displays from the local rugby and Taekwondo clubs and even the local Scouts had a display with marshmallows getting toasted on the fire. 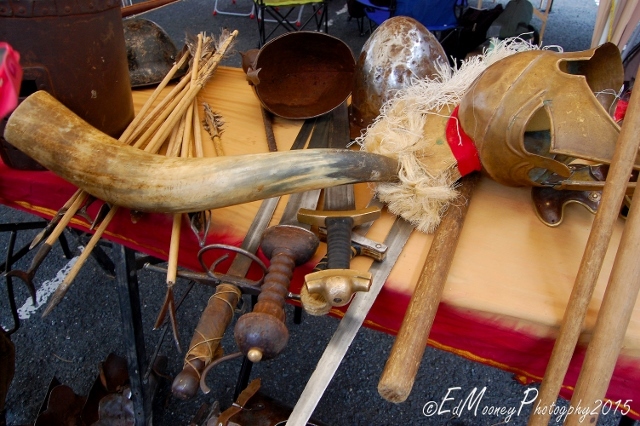 Obviously I took interest in a particular stall which had a number of interesting medieval weapons and armour on display. 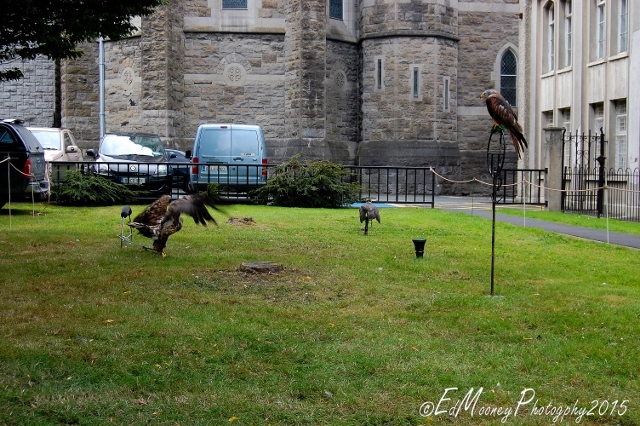 Times like this that I really miss the old re-enactment days. By 2 pm it was time for the nature walk with Christopher Moriarty and we were led into the inner sanctum of the Priory and into the hidden gardens to the rear. As it happened, there were only three people whom showed up for this tour, but all the better for me I thought to myself. 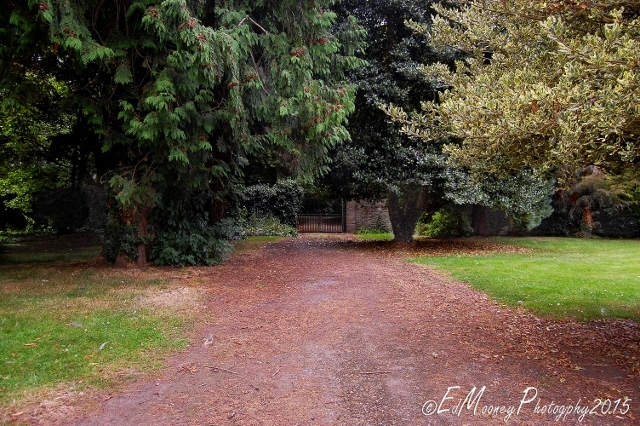 It was a really interesting walk around the almost secret garden, which was a nice mix of History and Nature. And I finally found my elusive Bullaun stone, but I will go into more detail on this in another post. There was so much more going on at the festival than I shot on the day, but my primary concern was to ensure I got my Priory garden and Maelruains Tower in the bag that I skipped over quite a bit. I should probably have brought the kids along whom would have had a ball, but they were off with their Mum and Grandad for the day. 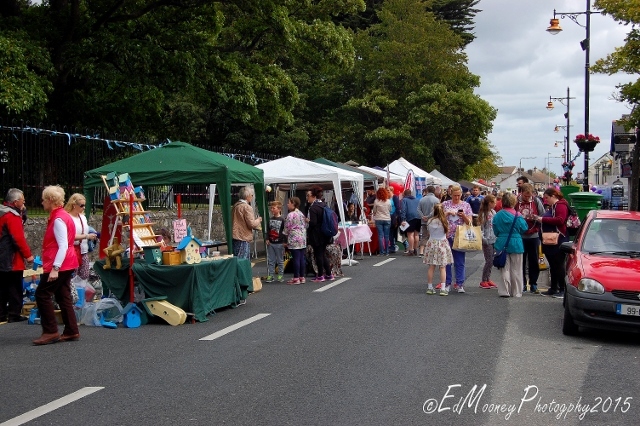 I was born and raised in Tallaght so it was great to see such a brilliantly organised festival which really showed off the community spirit of area. It’s a shame it gets so much negative attention in the media sometimes. 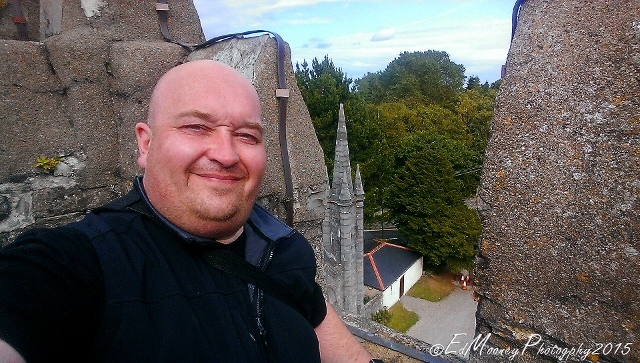 And so moving on I left the grounds of the priory and headed up the road to the grounds of St. Maelruan’s Church, in order to complete my final goal of the day, and climb the Tower. About half way up, tragedy struck and the shutter on my camera seized up, so I had to resort to using my HTC smart phone to capture the remaining shots. Again I will do a full post on the Tower soon so in the mean time I hope you enjoy the images of the Festival. I’m already looking forward to next year’s event. 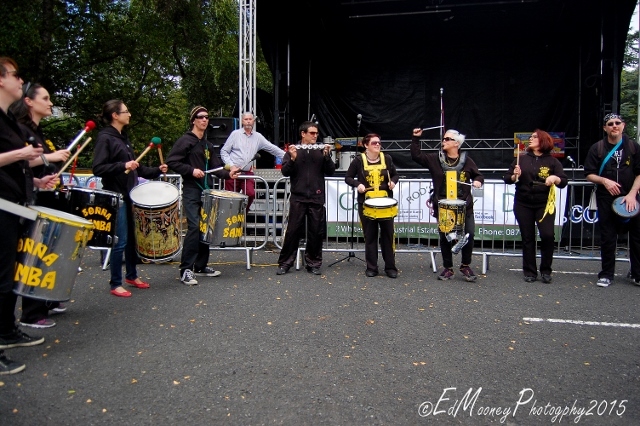 This entry was posted in Events and tagged Dublin, festival, Ireland, Nikon, photographer, Photography, Tallafest, tallaght, Travel. Bookmark the permalink. Lovely photos as always! I didn’t know American cars are fancied there, and darn good ones too. I drove the Trans Am cars while in high School in the late 1970’s and miss these ‘real cars’. Bold design back up with bold power under the hood (bonnet). 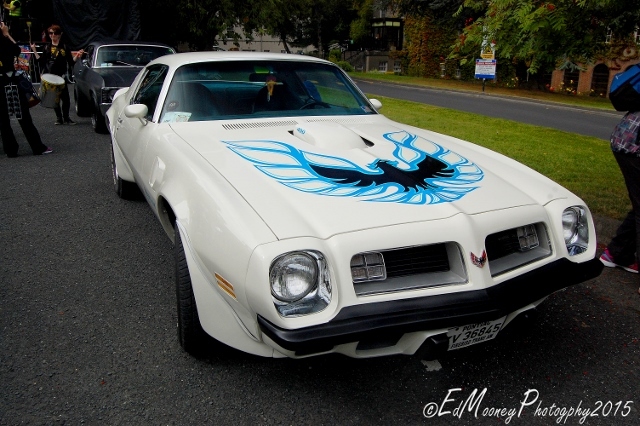 Hi ed,great shot of my trans am.its my new wallpaper.infact great shots of the day in general. 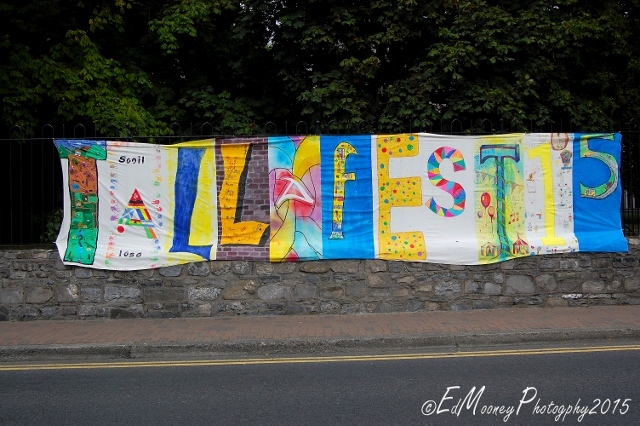 I really like the banner…..is it quilted? 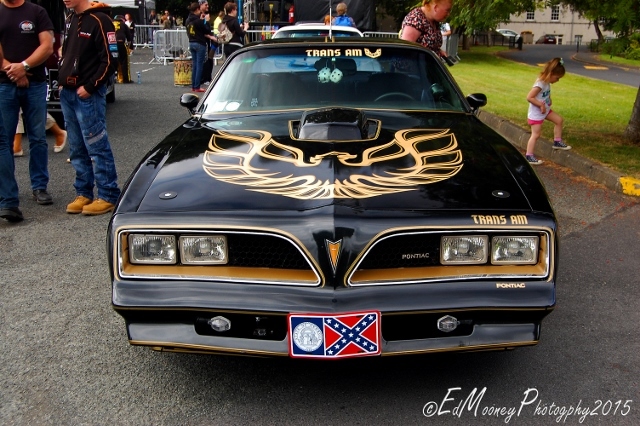 I had no idea there were Trans Ams with rebel flags in Ireland. This is a great collection of photos. And the difference between our festivals here in America and yours there– you have real castles! This reminded me of the scene in Billy Madison in which he does what was cool back in our day but not so much when that movie was made, https://www.youtube.com/watch?v=2ZjviMmXIY8. Because one racist murderer glorified the flag before his killing spree, calls for removing the Confederate flag go out all over the nation. To many it just represents their Southern heritage, not slavery, not racism. I agree completely, and now most TV stations wont show the Dukes anymore. I might be mistaken, but I always thought that this was the battle flag of the southern states, a symbol of rebellion against the oppression of the northern states. Did,nt the Confederates have three different national flags? Great post, loved seeing the face of the man behind the blog. Oh those buckets, we must keep them full. Have you done the post on the secret stone yet. You have my curiosity up. I’ll be waiting with my trekking boats on. boats – boots, they are all the same. 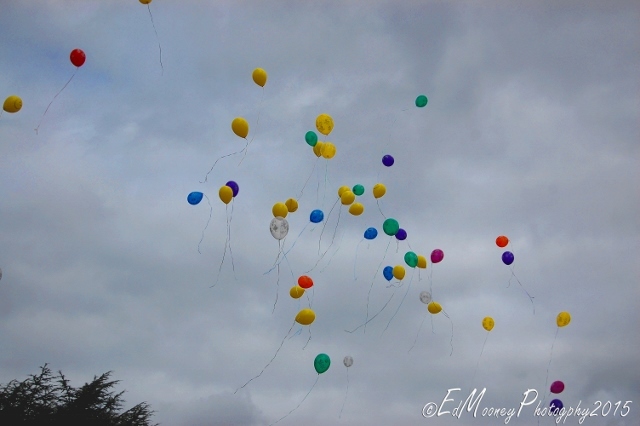 One floats, the other well…..
Looks like a grand day out, Ed. 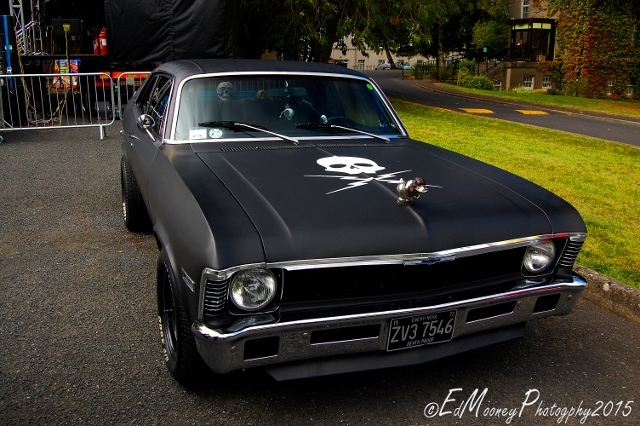 I like the muscle cars too. I always wanted to own a Dodge Charger, back in the day. An ancient monkey puzzle… really? What a great day Ed. Nice to see fete’s and festivals like this are making a come back. We are getting them more and more around these parts as each year passes. It’s good to see a return to the past. Brilliant Ed, a very enjoyable read. So the last few shots were taken on my phone. It was a fantastic day, I only wish that I had gotten to see more. That just looks like loads of fun. 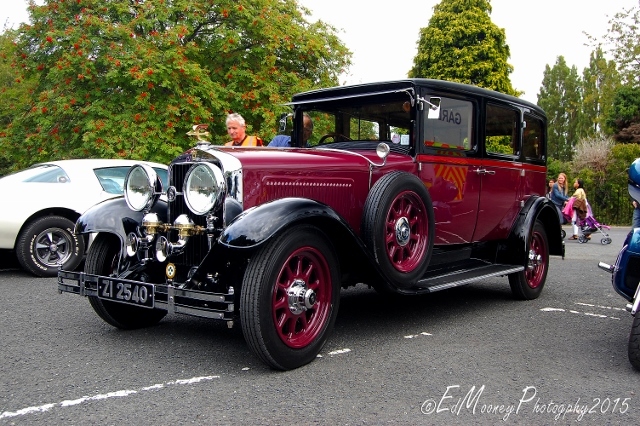 Oh, and that first classic car. I swoon. looks like fun!!! btw I’m in Dublin now!! after a fabulous time on Skye. Internet connections have been very poor for me though! Ah great you got a nice day for it, so what you got planned, anywhere nice? well one nice day!! lol! Spent another afternoon in the museum- I’m sure it would take a year to really see it all! I so love the history! And give to archery another go! So glad to hear it, sadly I traded in my bow about 8 years ago to get a Kantana. I really do miss it at times. I would love to go to Ireland. Nice pics. I work together with my husband and photographer Enric. You liked his picture in beingaphotographer. I am a journalist. Looking forward seeing more of your blog. Will get to know it hopefully soon, your beautiful island!